LG is in full tease mode for their G5 launch at Mobile World Congress later this month, they teased the Always On screen yesterday and today we’re looking at the G5 Quick Cover case. The case is similar to their previous Quick Cover cases, or Quick Circle cases as they’ve been known previously but adds new features in addition to showing notifications in the preview panel. As seen above, the case will allow for the screen to be seen through the case which is made of a semi-transparent mesh, very similar in scope to the HTC Dot View Case, though this appears to be higher resolution. As well as taking calls, LG says that the G5 Quick Cover will allow users to control alarm settings, all without opening the front flap. While the focus is on the case, LG has also given hints about the phone. Firstly, that ‘Always On’ screen. Well, according to LG it’s still rumoured. Yep. 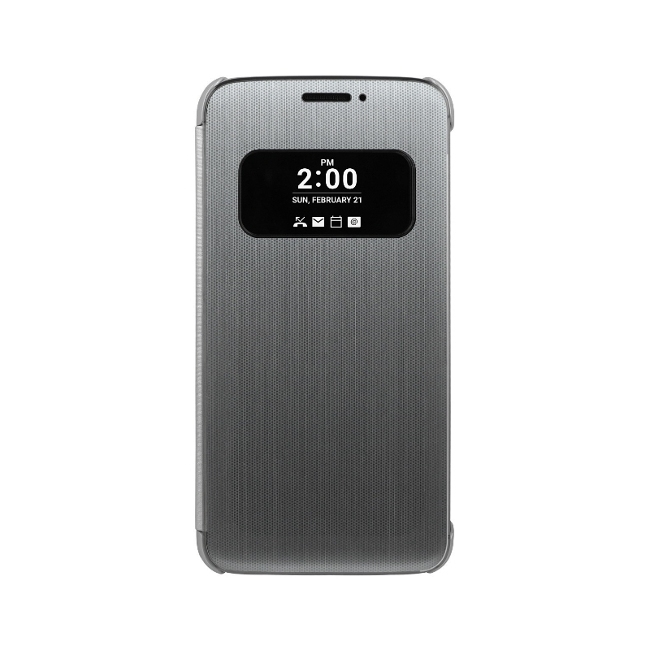 Finally, the case also features a ‘glossy metallic finish’ that will complement the look and feel of the G5. The controlled leaks/announcements are surely going to keep on coming in the next 2 weeks till LG officially announces the G5 and from the way it’s going, we can’t wait for more. I wonder if they will include wireless charging with the Quick Cover this time. For the sake of one little extra bit added to the NFC pad its a no brainer. I had to chase a new nfc/qi pad for my G4.